A blog full of useful crafty, wearable arty things! Chinese Poppies? I don't think so! 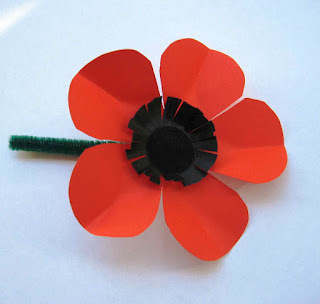 Anzac Day shortly; the poppy sellers will be out on the streets and I urge you all to donate to the RSA. The money raised from the annual appeal each year goes to providing services for returned and former service personnel. As a former Airforce brat; with my father, my grandfathers and the all the men in their families having served in the military either willingly or because they were drafted, the support needed after being in a warzone is crucial. Don't get me wrong; I am against war in all its forms, but I'm all for helping out the people and families who are affected by their involvement. Rehabilitation is everything. Which brings me to question the decision made to outsource the making of the poppies to China (and assembled in Australia). Previously the poppies we bought on the streets were made by Kilmarnock Enterprises in Christchurch by intellectually disabled workers. Making the poppies provided work, income and occupational therapy for a section of the population who are marginalised at the best of times. In Christchurch they have endured more than is necessary for wellbeing, now the poppies have been taken away. Why? Money of course- it's always about money isn't it? Let's make cuts, let's outsource to China. Let's happily pay people (possibly children) in a foreign country almost nothing so we can make more dosh. It's a capitalist view that takes no account of the worth of the worker and the benefit of useful, productive enterprise to the soul. So, the conundrum! The RSA will make more money from its appeal by using the cheaper red poppies, and that money will go to good use, but in giving to one sector of the community, we take away from another. What's the answer? Simple. 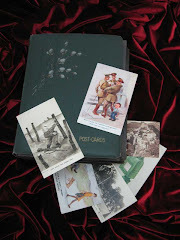 Give to the collectors, refuse the Chinese made poppies and make your own. Here is a template I created so you can do that. 2) Cut out the poppy petal shape and punch a small hole in the middle of it with a pencil or skewer. 4) Push the pipe cleaner through the hole from the back of the petals and bend over 5mm on the front so it holds securely. 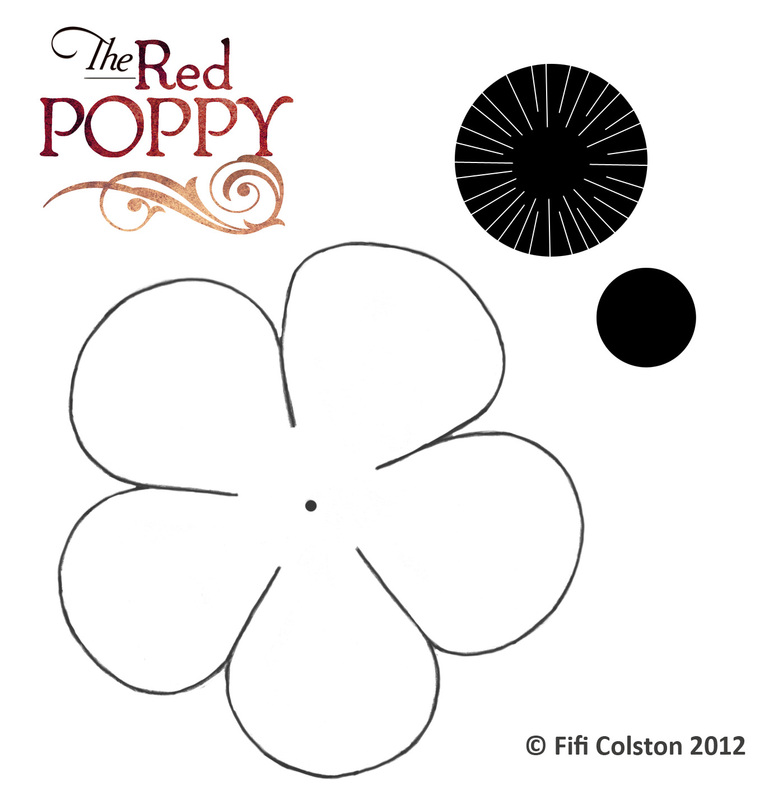 3) Cut out the black circles (if you have traced rather than printed the template, colour the circles in with a black marker) Snip a fringe around the bigger circle as shown and glue the smaller circle to the middle. I used a nice velvet paper for the smaller circle to provide a bit of contrast. Flick the fringe out a little. 5) Glue the black circles over the pipe cleaner on the front. Pin it on your lapel. 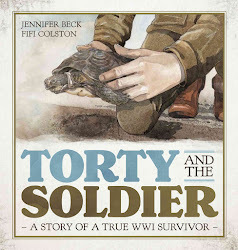 Lest we forget...oh and don't forget to check out The Red Poppy by David Hill and illustrated by moi!